Tell us what / where is your favorite place to draw inspiration … Often times it is wherever I can nudge my kids’ toys away from a space big enough to lay down a drawing pad. When I can steal away though, I like being in historic buildings. Locally, I think one of our own projects is inspiring. The Onawa Public Library, which I frequented long before starting employment here, is a really nice space and I found myself gravitating to it more and more. Tell us something unique about yourself that no one would guess … In my younger days, fresh into the US Army, I could run two miles in 12 minutes 38 seconds. My goal back then was to score a perfect 300 points on the fitness test, getting max scores of 100 points for push-ups and sit-ups and the 2-mile run. The closest I ever got was 292 points, falling a bit short on the run. Tell us about someone that inspires you … My thesis advisor, Ariel Brain, from graduate school in Boston. He was a thoughtful designer, teacher, painter and more importantly a great friend. To this day, his enthusiasm for art, art history and architecture serves as an inspiration to me. 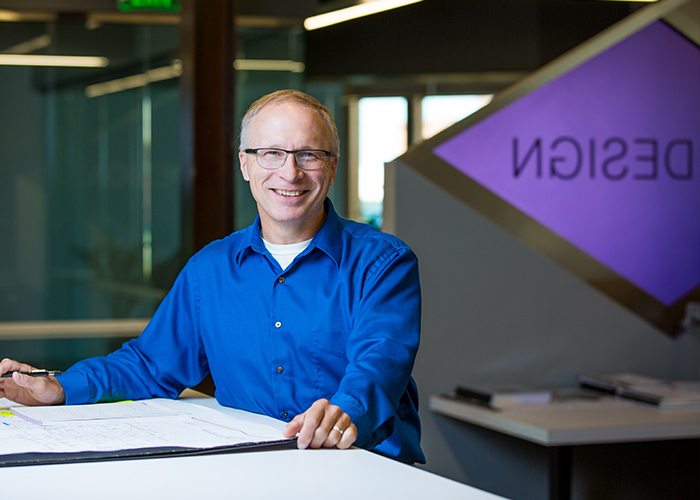 Tell us what you love the most about working at FEH Design … The senior staff has taken me by the hand and expressed great interest in my development as a conscientious designer and aspiring architect. The people here have made this great for me.